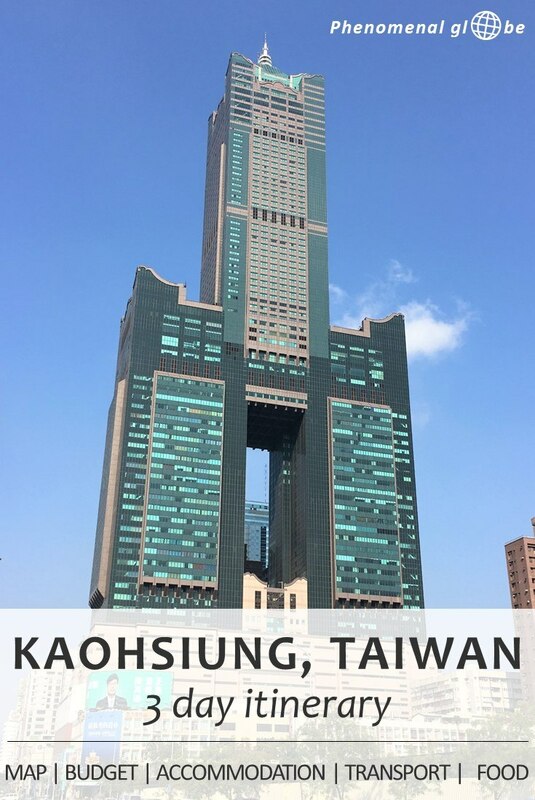 To be honest, I had never heard of Kaohsiung until I started planning our trip to Taiwan. Turns out Kaohsiung is the second largest city in Taiwan! Almost 3 million people live in Kaohsiung and its port is the largest harbor in Taiwan. Because we could catch a cheap flight from Malaysia to Kaohsiung, this is where we started our 1 month trip around Taiwan. 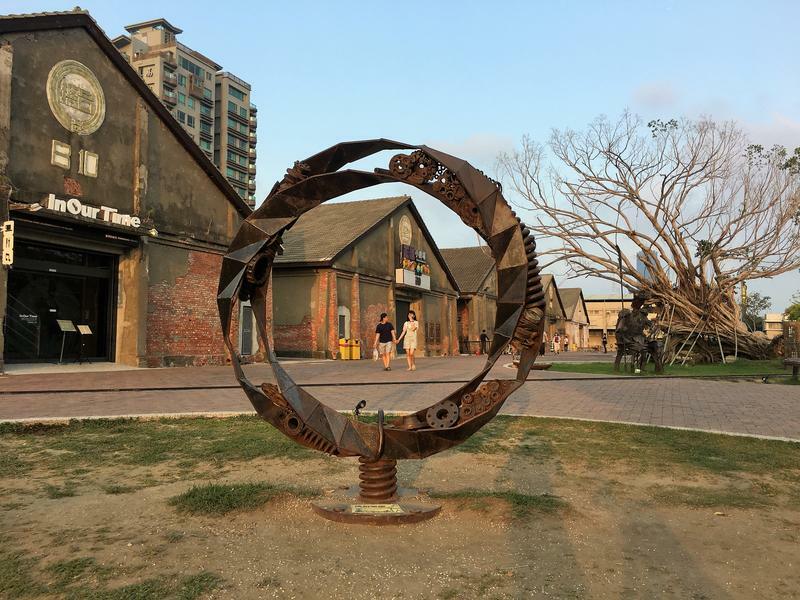 Wondering what to do in Kaohsiung? So was I, Kaohsiung is not a very well-known destination but after 3 days of exploring I can say from personal experience the city has a lot to offer! In the map below you find all the places we visited during the 3 days we spent in the city. I marked all Kaohsiung attractions, the Airbnb we stayed at, places to eat delicious food and transport info (airport, MRT, bicycles and more). Hopefully this post will help you decide where to go in Kaohsiung and make the most of your trip! 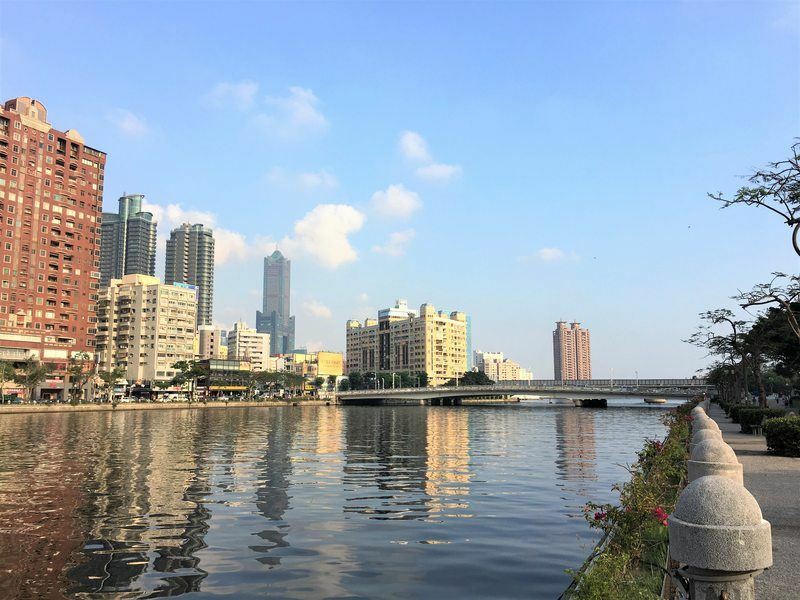 Kaohsiung day 1: visit the Holy Rosary Cathedral, cycle along the Love river, explore the Pier-2 Art center, check out the Dai Tian Temple and watch the sunset. 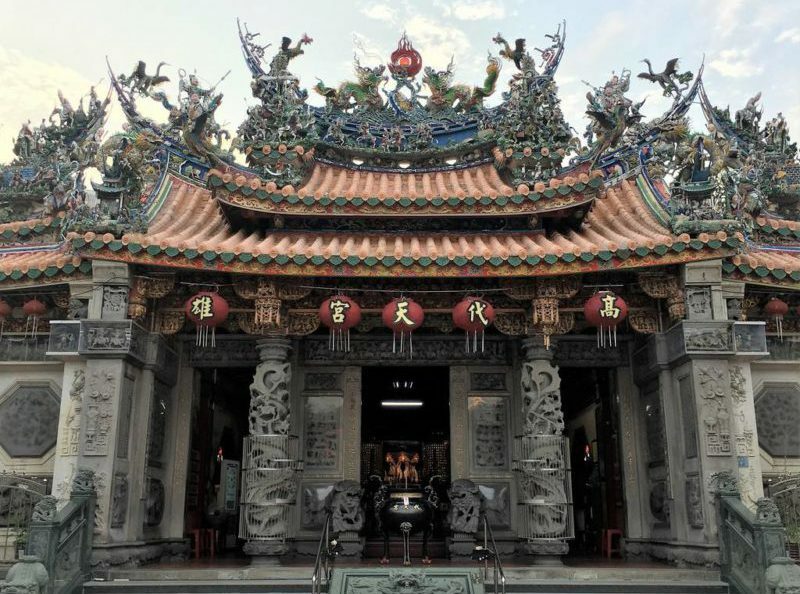 Kaohsiung day 2: cycle around the Lotus Pond, visit the Dragon and Tiger Pagodas, check out the Fongyi Gate. 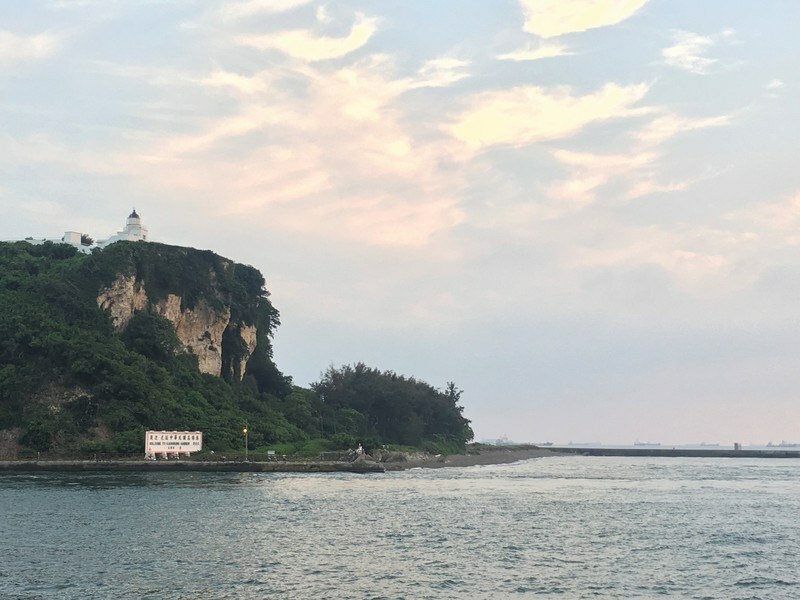 Kaohsiung day 3: take the ferry to Qijin Island, explore the Cijin Coast Park, admire the view from the Cihou Lighthouse. 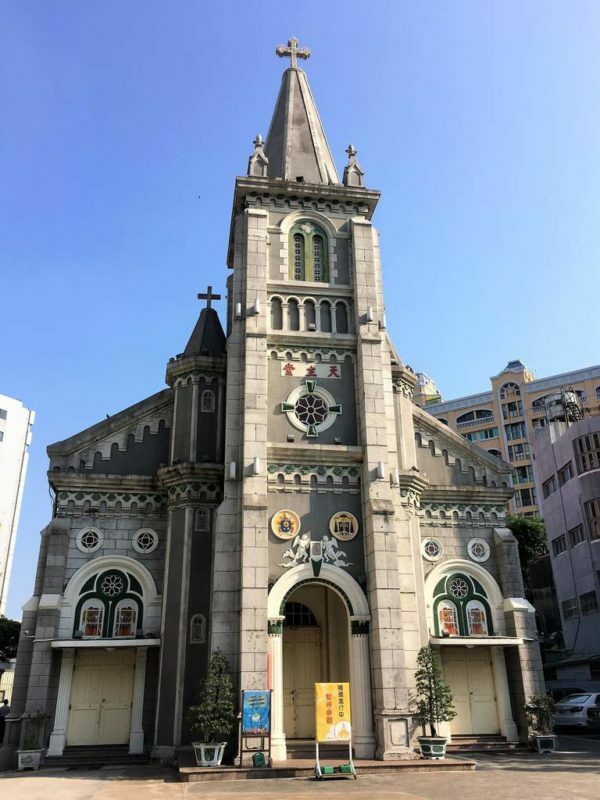 Holy Rosary Cathedral ⇒ we came across the Holy Rosary Cathedral and I was a little surprised to see a church in Taiwan. But this church happens to be the oldest Catholic church in Taiwan! After a little online research I learned that 4.5% of the Taiwanese are Christian. 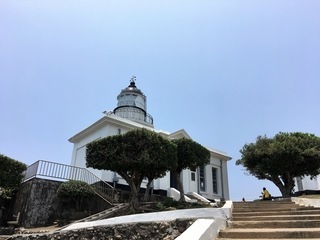 Since that’s about 1 million Christians (Taiwan’s total population is around 23 million), it’s actually not that surprising there are several churches in the country! 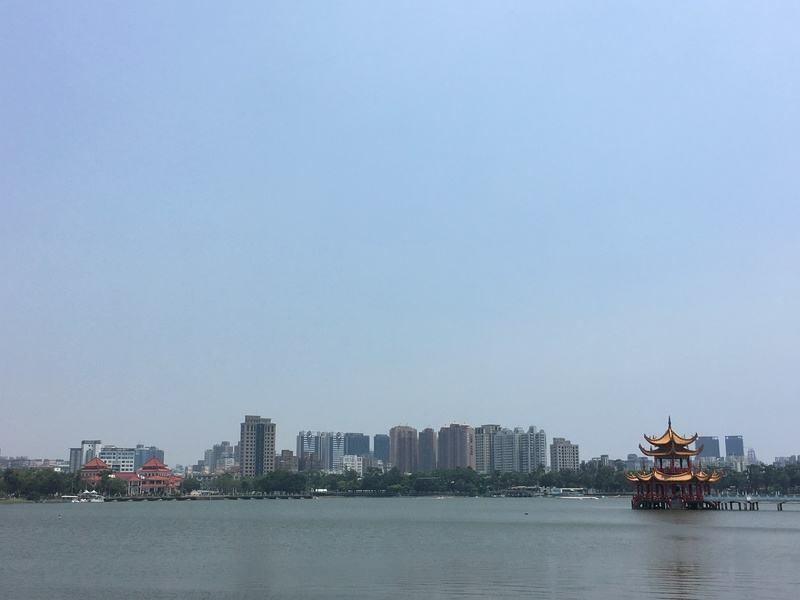 Love River ⇒ there is a beautiful bicycle lane along Love River with nice city views! Pier-2 Art Center ⇒ hipster galore? But seriously, it’s a cool spot. There are lots of stylish cafes and galleries in these abandoned warehouses turned art center. Perfect for a late afternoon stroll. Dai Tian Temple ⇒ a Taoist/Buddhist Temple (yes, interestingly it’s a bit of both). I loved the colors and intricate details of the roof! Sunset view ⇒ we watched a beautiful sunset at the boulevard near the British Consulate. In the picture you can see Cijin Lighthouse, which we visited on day 3 (see below). Lotus Pond ⇒ we took the bicycle trail around the lake and came across lots of photogenic temples. 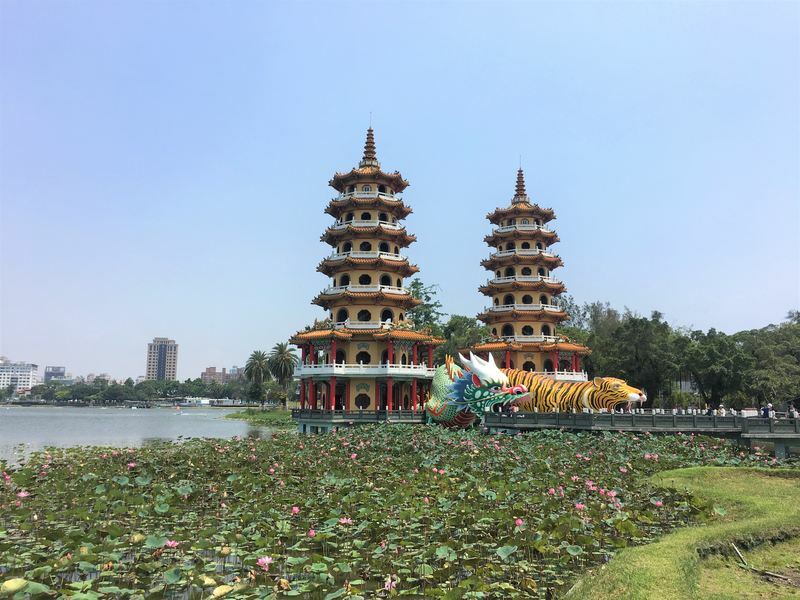 Dragon and Tiger Pagodas ⇒ the coolest temples at the Lotus Pond are without a doubt these pagodas, you enter them through the mouth of the dragon and the tiger! 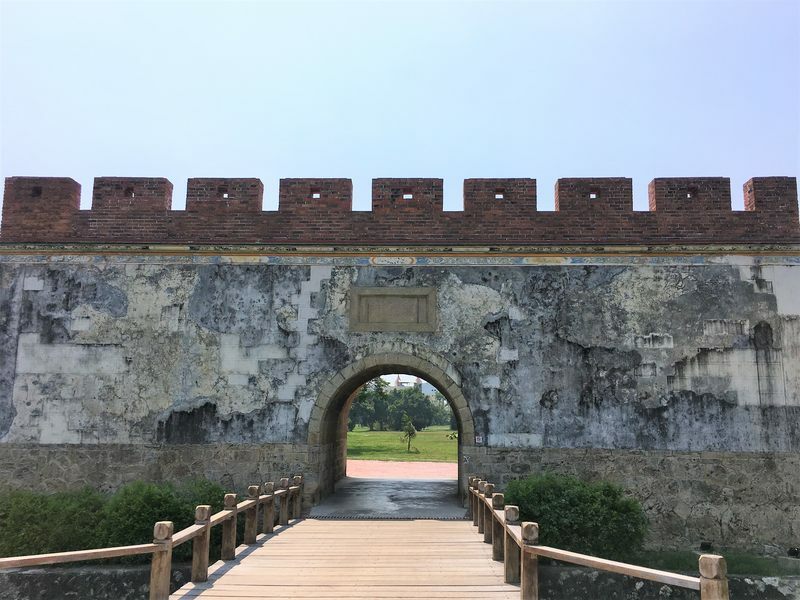 Fongyi Gate ⇒ this gate was part of the wall surrounding the old city of Zuoying, which was one of the first fortified cities in Taiwan. There are 4 gates but the Fongyi Gate (East gate) is the best preserved one. Bikeway along Dahua 4th road ⇒ we cycled from our Airbnb to the Qian Zhen Ferry Station and crossed to Qijin Island. We actually cycled all the way to the bridge connecting the island with Kaohsiung city, but were informed by a kind police officer that bikes were not allowed on the bridge. So we had to turn back and catch the ferry instead. 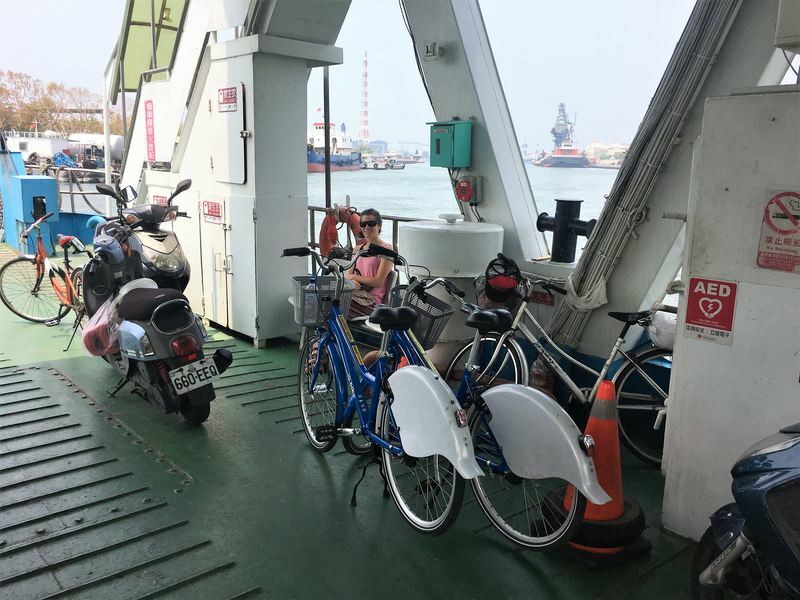 In the pictures you can find the ferry schedule and information about the fares (50NT per person including the bike if you pay cash, 30NT if you pay with iPass). 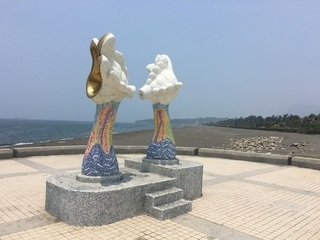 That completes our 3 day (cycle) itinerary in Kaohsiung, below you can read more about our average daily travel budget, how to rent a bicycle, where to stay and what to eat in Kaohsiung. If you prefer to do an organised tour, be sure to check out KKday, they offer many affordable tours in Taiwan (also in Kaohsiung). I didn’t know what to expect about the travel costs in Taiwan, but I was pleasantly surprised how affordable the country is! During our 3 day trip in Kaohsiung we spent approximately €59 per day, which I think is a very reasonable amount. And as you can see in the itinerary above, it’s not like we didn’t do anything! 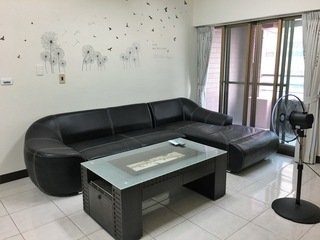 I booked our accommodation in Kaohsiung via Airbnb. Our room was very big and had a little balcony. There was air conditioning and fan which made it easy to stay cool in hot and sunny Kaohsiung. Our private (attached) bathroom was clean and stocked with shampoo, soap and toothpaste. 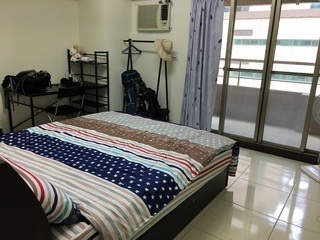 Large shared common room, hot & cold water dispenser and laundry machine that can be used. 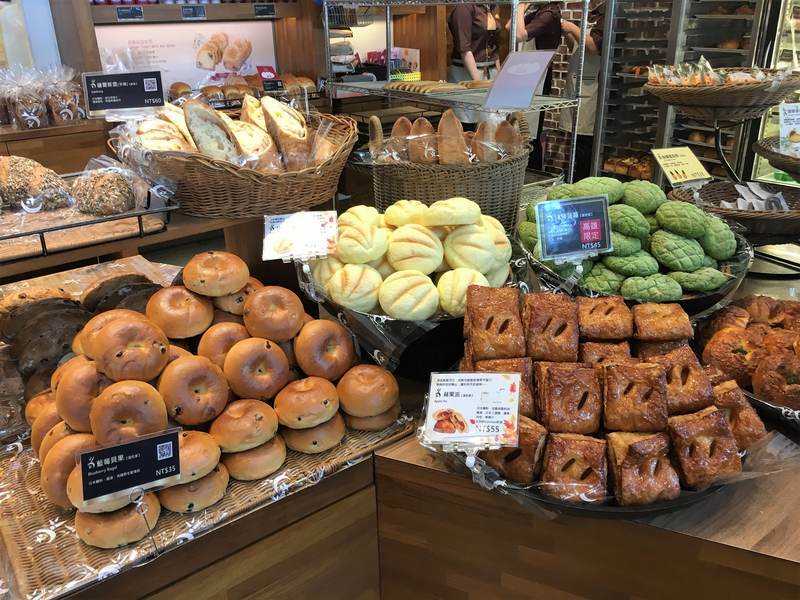 The location is great: it’s next to the Sky Tower, the 7-11 & Family Mart are around the corner and there are many great local restaurants in the area. It’s also within easy walking distance of the MRT (Sanduo Shopping District Station). 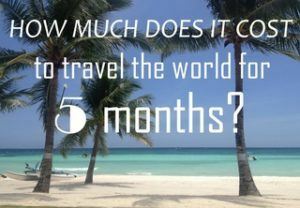 If you have never traveled with Airbnb before you can get €30 of your first stay with this link! 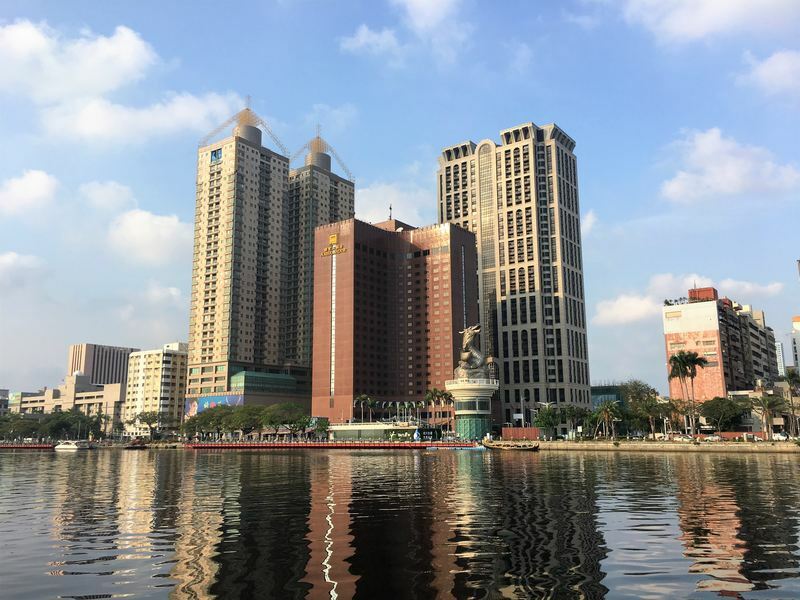 Alternatively, click here to find a hotel in Kaohsiung on Booking. By using these links you will not only get a discount, you will also be helping me to stay on the road and create more content for this blog. I really appreciate your support! Kaohsiung Airport is connected to Kaohsiung city by MRT, which makes getting to the city center super easy! From the Airport MRT station (the red line) it was only 4 stops to the Sanduo Shopping District MRT Station, where our accommodation was located (25NT per person = €0,75). Step 1: buy an iPass at 7-11 or Family Mart (100NT) and add credit to it (any amount you want). 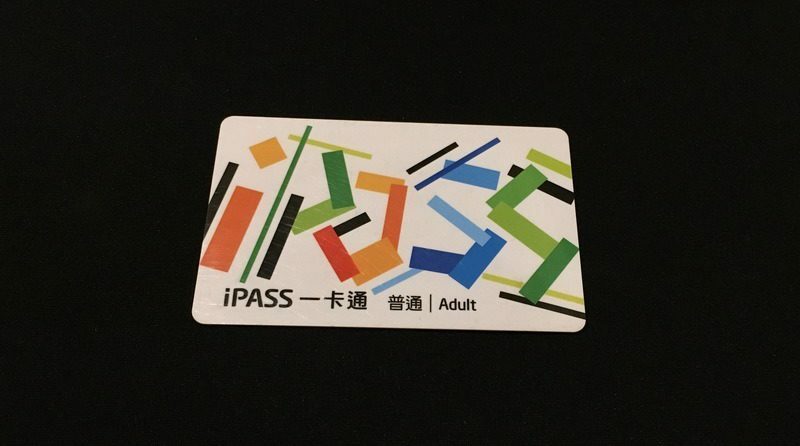 Even if you don’t want to rent a bicylcle I would still get an iPass, you can use it everywhere in Taiwan. It also gives you a discount on public transport and saves you the hassle of paying with coins. You can even use it to pay for coffee in the 7-11 and Family Mart. But I digress, bottom line: get an iPass and add credit. 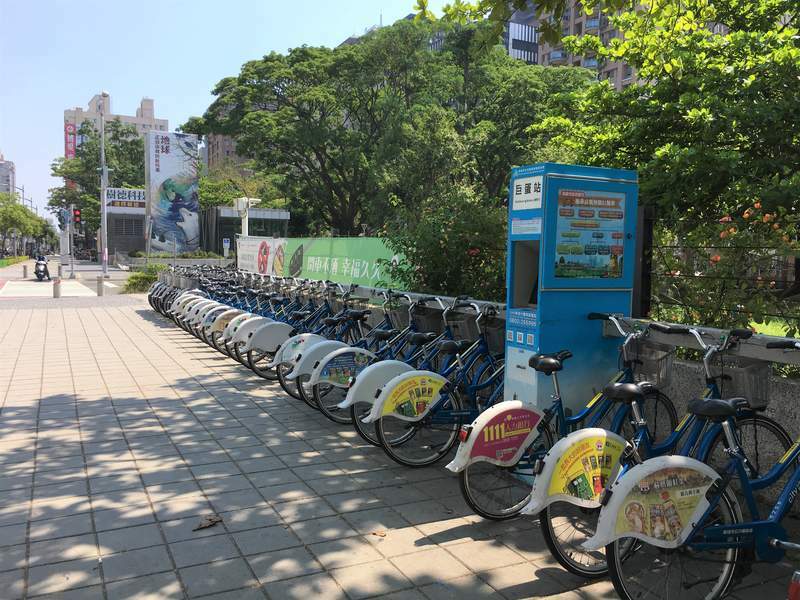 Step 2: go to a Kaohsiung Public Bike rental point (check the site for more info and to download the app) and place your card on the sensor. Step 3: choose English, then choose register. This is where the fun starts… The problem was that our ID numbers were too short and the machine wouldn’t accept them. When we put a zero behind our ID number it did accept them and we could continue to the next step. Also, you need a Taiwanese cellphone number for the registration process, because you’ll receive a confirmation code via SMS. 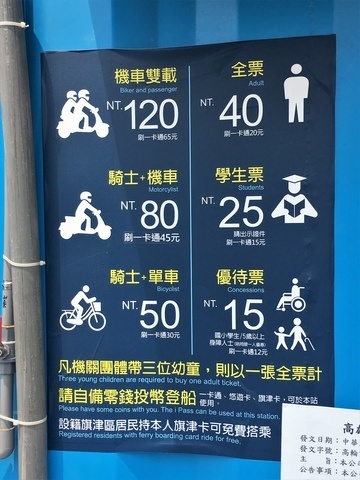 For the bicycle system in Kaohsiung you can use the same cellphone number to register multiple iPasses. Step 4: rent a bicycle. You have to set the machine to Chinese again as they forgot to program an enter button in the English version. Just press the number of your desired bike and click the orange button. Step 5: go to your chosen bike and press the red (eject) button. Step 6: don’t rent the bike longer than 90 minutes, it gets ‘expensive’ after that. You can just switch bikes at a station and continue on your way. Where to eat this: 802, Taiwan, Kaohsiung City, Lingya District. Where to eat this: No. 79, Sanduo 4th Road, Lingya District, Kaohsiung City, Taiwan 802 (in the shop with the blue sign, not the red one). Where to eat this: 阿莲河粉, No. 105號, Ziqiang 3rd Road, Lingya District, Kaohsiung City, Taiwan 802. Price: varies per item (between 80-140NT). 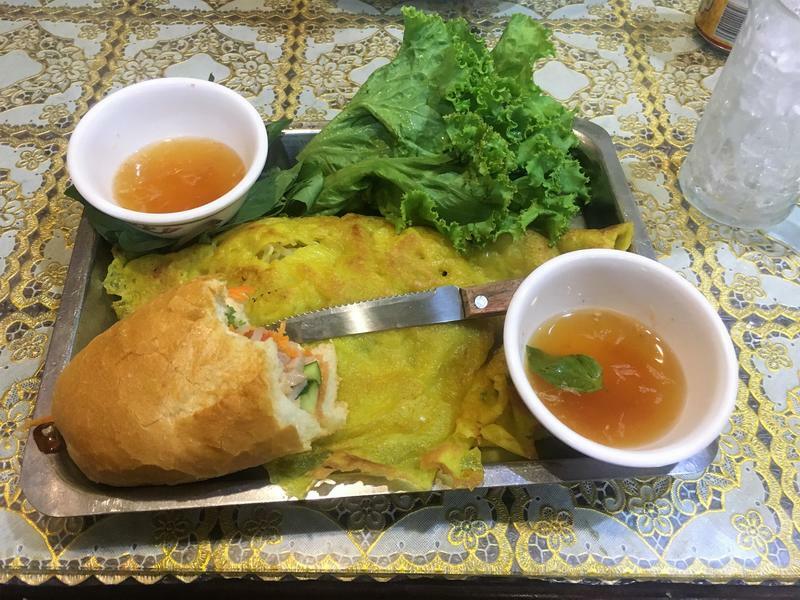 Where to eat this: No. 19, Siwei 3rd Road, Lingya District, Kaohsiung City, Taiwan 802. Price: varies per item (between 20-300NT). This bakery won a price for its wheat bread with wine, rose petals and dried lychees. That’s everything about our 3 day trip, I hope article this has given you an idea which places to visit in Kaohsiung! You can download the list of things to do in Kaohsiung below. 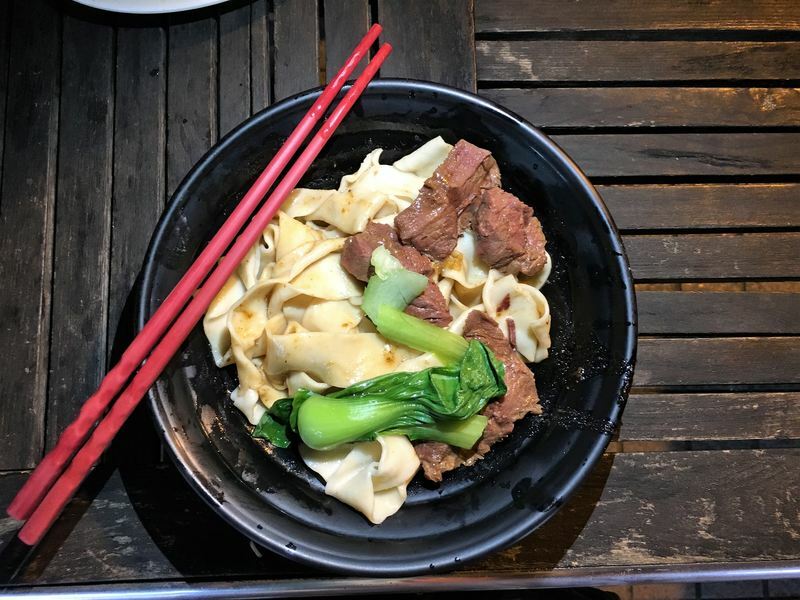 Taiwan looks wonderful, and looking at the pictures of the food brings back memories of the delicious things I ate in Hong Kong…wanton and soups and ramen. Take me back! Haha yes the food was amazing… I’ve only been in Canada for 3 weeks and I’m already craving a bowl of ramen! Taiwan is awesome ann diverse. 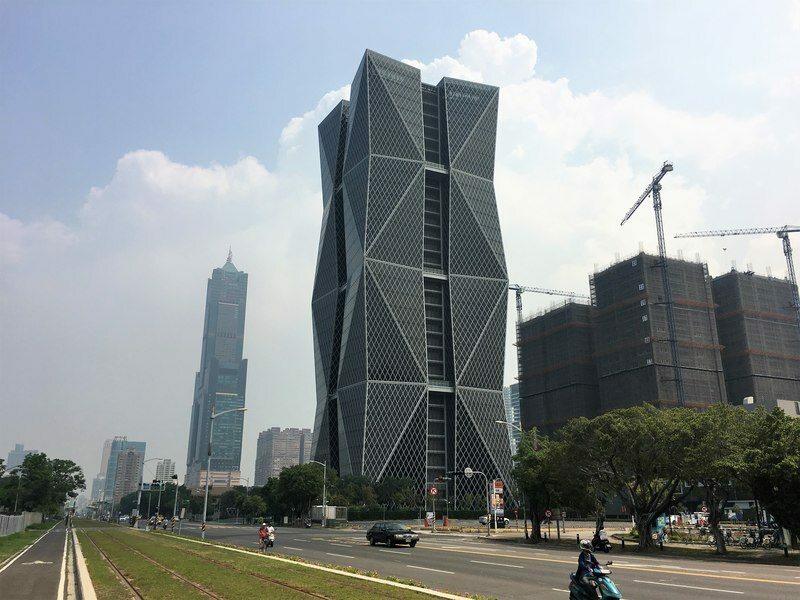 From the ancient Buddhist Temple and Pagodas to the modern architecture skyscrapers. Great stuff! I will be flying to Kaohsiung next month. I came across your blog and it makes me excited to visit the place. At first, I didn’t know what to expect and to be honest, I haven’t heard of this city before. Thanks for giving me a good picture of what to look forward to on my trip. Thanks, I’m happy to hear that! Kaohsiung really is an underrated city with a lot to offer. Enjoy tour trip! Thanx a Lot for your Kaoshiung tips! I’ve followed some. Thank you, I’m happy to hear that and I hope you had a great trip! Never heard of it Lotte so definitely I had no idea the city is the second largest in the country. 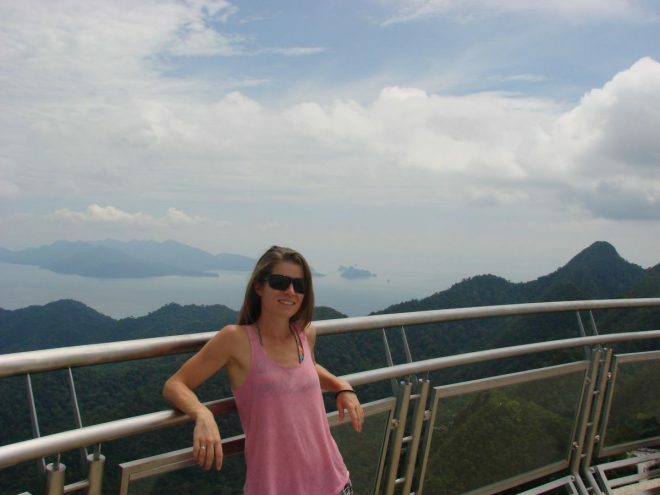 Taiwan is weird; we all know of it, but it gets passed over many times on the travel blogging circuit. 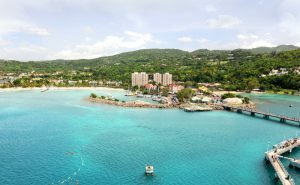 Laying over once for 24 hours and once for 24 minutes – seriously LOL it was a mad dash – showed me what a gorgeous country the place is. Excellent review.